Many immigrants who have close family members with legal status in the United States entered illegally or overstayed their visas more than 10 years ago. It may seem puzzling why someone residing in the United States for such a long time would have difficulties gaining resident status in the U.S.
That their deportation would result in exceptional and extremely unusual hardship to their qualifying relative. Popularly known in immigrant communities as the 10 year law, or “la ley de dies años,” (a misnomer given the other crucial requirements), when asserted in Court an Immigration Judge has the authority to cancel an immigrant’s removal and adjust their status to that of a lawful permanent resident. Unfortunately, short of being faced with deportation in Immigration Court, there is no simple immigration form that can be proactively filed with U.S. Citizenship and Immigration Services (“USCIS”). As a result, there is substantial debate in the legal community in regard to the mechanisms by which an immigrant’s right to seek Cancellation should be asserted. Some overly cautious attorneys simply turn away all immigrants in this situation. These attorneys tell immigrants to come back if they are ever faced with deportation charges, while others even—perplexingly—encourage immigrants to appear before Immigration and Customs Enforcement and request to be charged with deportation in Immigration Court. On the other end of the spectrum, overly aggressive attorneys downplay the significant risk to immigrants and their families when they face deportation, while failing to adequately explain the high legal threshold that must be meet to win Cancellation. These attorneys, and many notaries, play loosely with federal laws requiring complete honesty to immigration authorities, while completing hundreds of asylum applications that are not based on good faith claims. In doing so, immigrants may gain a temporary right to work in the United States, but they also risk ultimately being ordered deported and barred from seeking all immigration benefits.  At Martinez Manglardi, P.A., we believe that no two clients are the same and we take a painstaking individualized approach to solving our client’s immigration problems. We believe this is the key to our founding partner’s success in more than 30 years in the practice of law. Our team of professionals has been solving legal conundrums for years through creative and zealous advocacy. Through this individualized approach, we have repeatedly found legal solutions for hundreds of immigrants who have been turned away by others. If you have been in the United States for more than 10 years, and you have a parent, spouse, or child who is a U.S. Citizen or permanent resident, you should consult with an experienced immigration attorney promptly to determine if there is an appropriate legal mechanism to assert your rights. The information contained in this site is provided as a public service for informational purposes only and is not intended to be a comprehensive statement of the law or, in particular, to contain legal advice. Laws vary from state to state and are subject to change, which could affect the information available on this site. If you have questions regarding any information found on this site, you should consult an attorney who can investigate the particular circumstances of your situation. Persons receiving information found on this site should not act on this information without receiving professional legal counsel. Use of and access to this web site does not create an attorney client relationship between Martinez Manglardi, P.A, and the user or browser. Information regarding past results does not guarantee a similar result in any pending or future case. The opinions expressed at or through this site are the opinions of the individual author and may not reflect the opinions of the firm or any individual attorney.